Today it was a balmy 63 degrees outside, and never mind that schools have been cancelled due to some coming snow tomorrow, it's the time of year to start planning the spring garden. Some seeds can be started 12 weeks ahead of the last frost date, so although it feels ridiculous to be getting ready now, Piedmont NC's traditional planting date is Good Friday, at least according to my neighbor who's garden teams with growth every year. In the past, I've created detailed schematics which I only muddle up by overplanting due to my inability to thin out crops and that constant urge to squeeze in just one more plant. This year, my oldest son has already called dibs on the okra for his garden plot, and little does he know I'll string them with half-runner beans. Squash will be taking a year off. There have been too many consecutive years of vine borers and squash bugs, that I just need to give it a rest. Other than knowing where the okra will go and knowing several things I won't repeat, I have no plans for a layout this time around. I like to interplant to try and confuse the bugs that like to hone in on just one crop, so chances are there will be a little bit of everything everywhere but systematically arranged for height and climbing needs. I've got my eye on some Renee's Garden pepperbox poppies and several of Renee's new offerings including Baby Snack Peppers, French bush beans, and Organic Japanese Cucumbers. 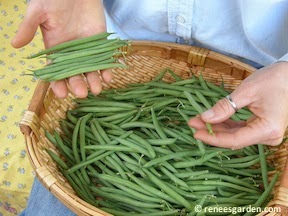 I'm a total sucker for growing green beans because they aren't fussy and will keep yielding as I pick them. I've noticed the pole beans tend to start yielding much later than the bush varieties, so I plant both to maximize bean consumption for the season. I tried to overwinter spinach, but I managed to kill them off at the end of the summer before they ever grew their second set of true leaves. It looks like some lettuces are hanging on, so come spring, there will be a plate of greens, to mask with chicken and dressing, of course. That's right. I can't consume my veggies with at least some animal product. 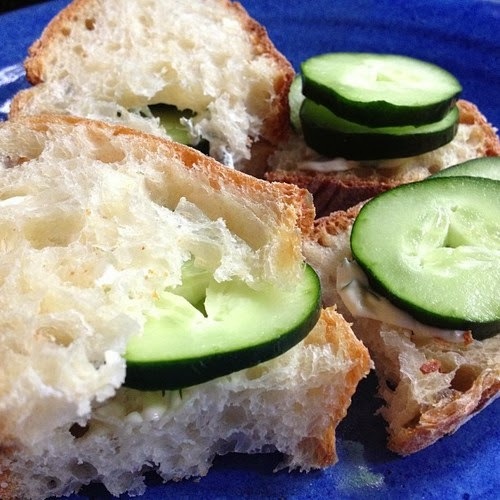 Cucumbers - cream cheese (cuke sandwiches), Arugula - goat cheese, Spinach - chicken and a cream cheese sauce. Broccoli - lemon butter. Peas - well peas may be the one exception, as I'll eat them raw from the pod. 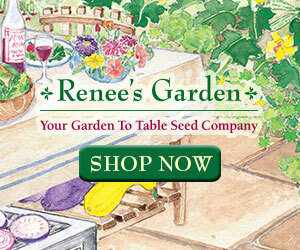 I got a ton of Renee's garden seeds for my birthday! Very excited to plant those. I want to do what you do in your beds - inter-plant and somewhat naturalize things. 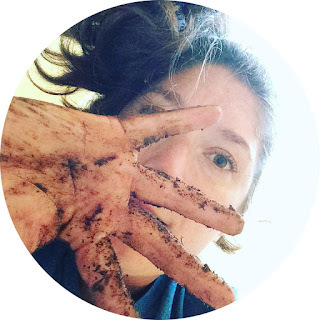 I have gotten stuck in a rut of square foot gardening, where if a particular plant doesn't how, I have a gaping blank for the whole season (because when you have 3 little kids, it's hard to get out there with time and free hands to replant). Mom ordered me a plant light for Valentines day, so I'm about to fill a few cardboard egg cartons with dirt and start some seeds. Keep us updated on your plantings!